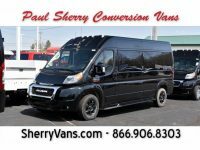 RAM conversion vans have an incredibly high interior height of 6’4” which is the best interior height you will find in a conversion van. This is particularly useful for those who plan on spending the night inside the vehicle itself since they can likely stand upright without concern. In other words, there is no need to worry about waking up in the middle of the night, forgetting where you are, and hitting your head when you stand up. Perhaps you plan on sleeping in a tent outside but use the conversion van as an indoor area if the weather turns sour or early in the morning before the temperature starts to rise. If you will be inside the van and awake, it is even more important to have that extra headroom so you can comfortably move around the van as needed. Even those who just want to use their conversion van as a way to get their gear on site will appreciate the tall interior height. After all, a taller interior height means more space to store gear without needing to hunch over load or unload the cargo area. Your back will thank you. The interior lighting is another strong point of Sherry RAM conversion vans. This is particularly helpful for those who plan to spend some time inside the van, either using it as a makeshift living/dining area or bedroom while camping. The interior lighting means that you do not have to fumble with flashlights or make do with dim light. Instead, you will be able to see everything clearly, even at night. No matter how you plan to use the van on your camping trip, you will store and transport your gear in it. A loaded van will have dark spots behind the items you load up, which can make it very hard to see when loading, unloading, or looking for a specific object. Normally, you would have to hold your flashlight in one hand while struggling to find an object or unload the van with the other. The interior lighting not only provides better lighting than a flashlight, but also leaves both of your hands free for other tasks. As you look at the layout, you will notice that Sherry vans tend to feature overhead storage. This convenient feature lets you make the most of the space in the van without having to bring in your own organization system. Overhead storage also lets you keep the van’s floor clear while still having space for all your gear. This will give you more than enough room to sit or even sleep inside the van without worrying about leaving gear outside, unless you want to. You may overlook it, but the fact that you can easily get through the space between the front seats is another great reason to use a Sherry van for camping. Most manufacturers, including Chevy, Ford, and GMC, place a console between the driver’s seat and front passenger seat. Sherry vans are based on RAMs that leave this space empty. That empty space makes it possible to get between the cargo area and the seats without leaving your van. The empty walk-through space provides another great benefit: You do not have to go outside until you want to when you are camping. This is particularly helpful if you are camping in inclement weather such as snow, rain, or cold: You won’t need to take extra trips outside and get cold or wet. 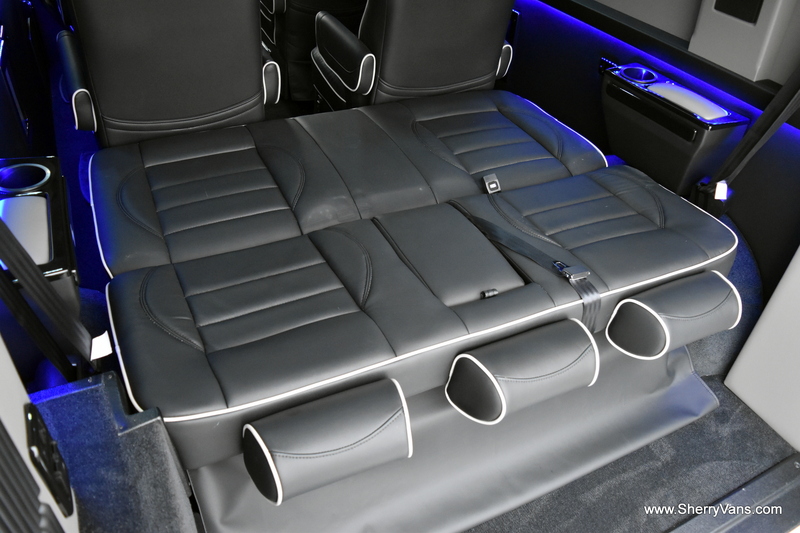 That interior walk-through between the seats also means that you do not have to get out of the van and walk to the front door if you have to grab something from the glovebox or the front seat. You can comfortably store camping items anywhere you want in the van and enjoy easy access. 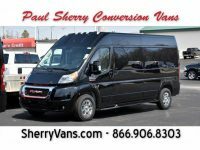 Check out some RAM Conversion Vans in person to see why they are such a good option for camping.